Manufacturing in the U.S. is holding strong. The outlook for 2019 is positive and indicates that the industry is embracing change on many levels. Among the notable trends, companies are shifting to a B2B2C model in an effort to better understand and serve their customers. But most importantly, advanced technology is fundamentally reshaping manufacturing. Automated tech and IT-powered solutions fuel what some call Industry 4.0. From Big Data to virtual reality, manufacturing is experiencing a technical transformation that is improving productivity and safety. In order to make the most of this powerful trend, businesses are moving towards the use of robust manufacturing management software. Tech solutions can be of great help in numerous areas of the production cycle: from shop floor scheduling and time tracking to inventory, accounting and overall enterprise resource planning (ERP). To help you reap the benefits of tech advancements, we’ve prepared a list of the best manufacturing software with six tools that can assist your business in transitioning to the new industrial era. Manufacturing time tracking is essential for improving production. Hubstaff is a trusted partner in the process of boosting your assembly line performance. Its real-time monitoring tools fuel better planning, team scheduling, and workforce management. With Hubstaff, you can conduct inobtrusive employee monitoring and GPS tracking. Data is automatically collected in online timesheets, which then feed into analytical reports. It’s easy to clock in and out from any device — through Hubstaff apps — ensuring time cards are accurate and simple for your whole team to use. Hubstaff also provides manufacturing businesses with easy online invoicing and payroll functionalities. This means you can handle timesheets and payments within the same dashboard. On the basis of the rich data collected, the platform also helps you handle better project budgeting. Pricing: There is a free plan with basic capabilities, but the advanced plans start at only $5/month per user. There is a 14-day free trial. Oracle’s NetSuite platform has a manufacturing solution, and it is one of the best manufacturing ERP software options on the market. It’s cloud-based and provides tools to handle all manufacturing processes, from the shop floor to the top floor. The most notable capabilities include customer relationship management (CRM), centralized product data, and efficient order handling. NetSuite also empowers better production planning based on balancing supply and demand, procurement processing, and supply chain control. NetSuite caters to a wide variety of manufacturing businesses, from consumer goods to medical devices. Pricing: depends on company size, but NetSuite’s base license costs $999 per month with access costs of $99 per user, per month. Global Shop Solutions is another ERP option, which offers a different set of features in comparison with NetSuite. It is targeted at the heavier industries, such as machine building, aerospace, plastics, rubber, wood manufacturing, and similar fields. The production management software boasts a number of tools, which you can match and mix to your company’s needs. The most powerful features of Global Shop Solutions include CAD interface, inventory, job costing, product configurator, shop floor management, and quality control. In addition, the platform also provides manufacturers with CRM, company messaging, and advertising, among many other extra features. 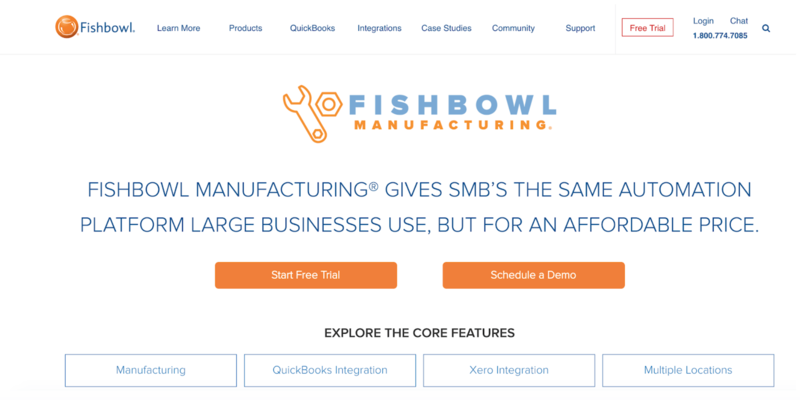 Fishbowl Manufacturing is an ERP solution targeted at small and medium-sized businesses with suitable functionalities and pricing. The suite offers work and manufacturing orders, as well as advanced handling the bill of material costs. With Fishbowl, manufacturers can track their inventory across multiple locations. Inventory management is handled with useful features such as tracking and reorder points. 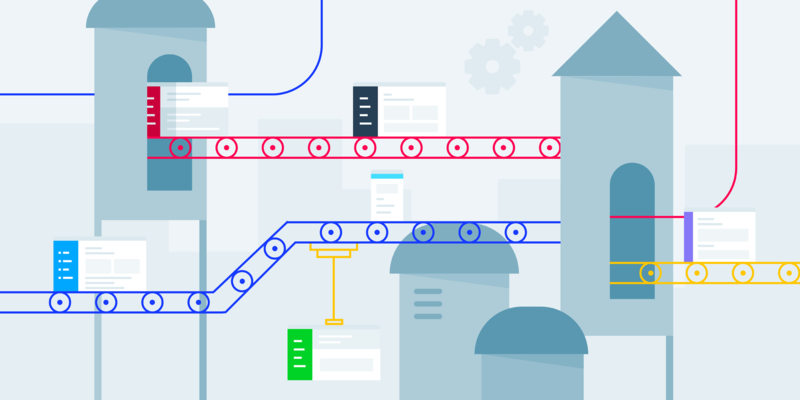 The platform allows you to create multilevel work orders, so you get visibility on production stages across the board. Fishbowl also supports part tracking, shipping, and sales and purchasing functionalities. Notably, it integrates with two popular work tools for SMBs: FreshBooks and Xero. In this way, you can handle your accounting processes from the ERP while using your preferred accounting app. Pricing: Available upon request. There is a 14-day free trial. Prodsmart is a top option for manufacturing execution system software (MES). Its motto is that it connects machines, people and processes. With Prodsmart, you can transition to digital shop floor monitoring with ease. The system is flexible so it can adapt to your operations. In addition, it processes real-time data so you get an analysis straight in your dashboard. The platform also provides planning and manufacturing resource planning (MRP) tools. These tools are based on robust data collection, which also makes managing stock easier and more effective. Prodsmart also visualizes workflows for better overview and allows for seamless employee scheduling and tracking. You can also conduct quality management from within the tool. Pricing: Plans start at $199/month per manager for a minimum of three managers. There is a 14-day free trial. Custom enterprise solutions are available, too. UniPoint is a frontrunner in the field of quality management software (QMS) for manufacturing companies. It offers ERP-integrated QMS that is suitable for a number of industries such as medical, food and beverage, automotive, and chemical, among others. UniPoint’s diverse tools are split in three modules: core, add-on and web, all of which help companies automate their quality control. Within the core modules, you can benefit from features like non-conformance, corrective and preventive action, and document control. The add-on modules will also provide you with inspection, auditing, health and safety, and validation, among others. With the web modules, you can move to mobile QMS with mobile inspection and web requests. Advanced technology is already revolutionizing manufacturing in the U.S., and is bound to help businesses grow their production in 2019 and beyond with innovative methodologies and tools. 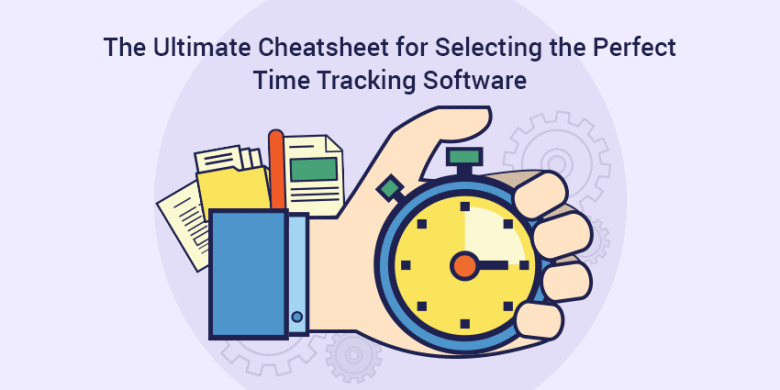 From shop floor management and scheduling to time tracking and accounting, manufacturing software solutions hold great potential for your company. If you’re looking for ways to boost your production output and effectiveness, the tools listed here are your first stop on the way to digital transformation.